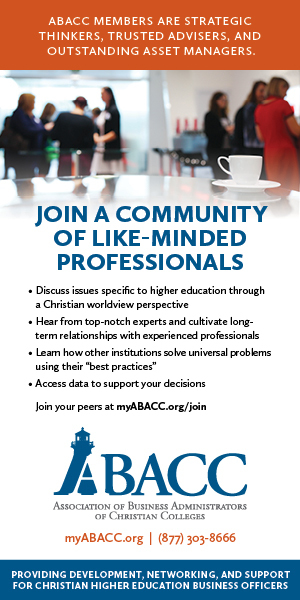 Young adults must understand reasons to choose a Christian college. Recently, an undergraduate student that I’ll name Karen shared an experience she had in a Religion class at a local state university. A discussion emerged there about Christians (specifically Baptists) who had been persecuted early in American history. They discussed how Baptists were beaten, had their tongues cut out, and, yes, even martyred for their faith. As a Baptist herself, Karen felt quite uncomfortable that a classmate expressed such an attitude. However, her concern deepened when the faculty member standing in the front of the class brushed off the comment without a rebuke, apparently in an attempt not to appear judgmental or disapproving in any way. Karen is now in a college that not only delivers academically, but also actively supports and encourages her biblical faith and spiritual growth, and she is grateful for this opportunity. Of course, this is one short anecdote. However, such stories of antagonism toward faith and people of faith on public college campuses are not difficult to find. They give weight to the reasons to choose a Christian college. In addition to confrontational encounters with intolerance, it is also well known that much of what is taught and touted as “truth” in classrooms on the campuses of secular institutions of higher education directly contradicts the actual Truth (biblical Truth). This is not a particularly astonishing—or even enlightening—revelation. Though this may not be surprising, it is quite concerning! 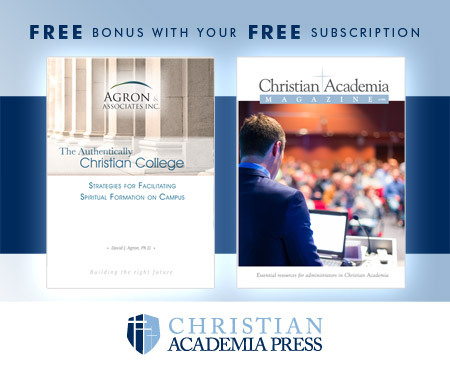 It should serve to remind us, as Christian professors and administrators, of the unique and significant role Christian colleges and universities play in the world of academia. Given the ugly realities that currently exist on many secular campuses, there are a variety of reasons Christian young people should consider attending a Christian institution of higher education instead of secular colleges or universities. As opportunities arise, Christian academicians should be quick and ready to share such potential reasons with prospective students and their parents. Allow me to offer just a few reasons to choose a Christian college. A student on a secular campus will often encounter professors who are antagonistic or ambivalent to the student’s faith. However, it just may be that the student will even have the opportunity to interact with the occasional Christian scholar who loves the Lord, but who is bound by university policy to maintain an “under-the-radar” kind of Christianity in class.In either case, it is quite different from attending an institution where the entire environment is driven by a love for God, His Word, and others, and where one’s faith is not only validated—but nourished, nurtured, encouraged, and where faculty and fellow students pray for one another.The environment on a solid Christian college or university campus is one where students are not only engaged in academic pursuits, but where they are challenged to grow both intellectually and spiritually. A prospective college student should consider what they truly desire to learn as they head off to college. Do they wish to spend the bulk of their time learning fallacies, taught as fact, which pervade so many secular academic disciplines? Or, do they wish to spend their time and energy learning an accurate, biblical perspective of their selected field of study?Even if, in the so-called secular setting of a higher institution, there is a “neutrality” about God and His Word in the scheduled classes or chosen program, this in itself is an inferior education in that it robs the student of the richness available by studying reality as it is! God exists! His Word is True. Therefore, to ignore the principles and perspectives of divine, special revelation is to short-change one’s self both spiritually and academically. Biology cannot be truly understood apart from the recognition of God as Creator! Ethics cannot be properly understood apart from the acknowledgment of God (and His character) as the standard of right and wrong. Politics cannot be accurately understood apart from the principles of governing found within the pages of Holy Writ. Sociology cannot be understood apart from an understanding of God’s establishment of the institutions of family, church, and government. Psychology cannot be correctly studied without a biblical understanding of the true nature of a fallen humankind. The fact that a college student will likely spend four or five years in classrooms being taught “fallacies,” while the “Truth” is ignored or mocked, is truly problematic and in stark contrast to a well-rounded, biblical Christian education within a Christian college or university. One of the areas of college life that most impact young people involves the relationships that are forged during the course of a college career.The college years are an exciting time for young people, and the college campus is an opportunity for them to interact with students from different geographical areas, cultures, and backgrounds. They come from various socioeconomic backgrounds and different family circumstances, as well. This can provide a wonderful life-enriching experience. When considering reasons to choose a Christian college, peers may carry even more weight than faculty. However, dangers also exist for the Christian college student.God’s Word, in Proverbs 13:20, tells us, “He who walks with wise men will be wise, But the companion of fools will be destroyed” (NKJV). On the other hand, the Scriptures also say (in Proverbs 27:17), “As iron sharpens iron, So a man sharpens the countenance of his friend” (NKJV). At a Christian college or university, the student body may still be quite diverse; however, the opportunity of meeting individuals who will not only be positive Christian influences while the student is in college, but who will become lifelong friends who will encourage and admonish one in the faith, is exponentially greater. For the Christian college student who desires to build a “network” with other believers with similar career interests, where else could he or she begin than a Christian college? One of the primary functions of a college education is to prepare students for the future. So you might ask, “Which better prepares students for the future—a secular institution of higher education or a Christian college?”Generally speaking, the answer is a good, solid Christian college or university. Of course, potential students need to be wise and discerning in selecting the specific Christian college to attend. Not all so-called “Christian colleges and universities” are equal. Be wise. Be prayerful!However, given the choice between a solid Christian college or university and a secular college or university, the answer seems obvious. Students will often be better prepared for life—and the life after this one—if they attend a Christian college or university that not only challenges and stretches them academically, but challenges and stretches them spiritually, as well. A final note: While I believe these are good reasons to choose a Christian college, God has an individual plan for each student, and I do not presume to know God’s specific will for anyone. I, personally, have attended three different institutions; two of them were Christian institutions and one was a “secular” state university. I felt God’s leading each time I made a choice of which college/university to attend. However, my entire academic teaching career has been in Christian higher education. I believe the God who created us, and His word, should be part of the process of education—especially for those who claim to know Him through faith in His Son, Jesus Christ. My brother has been wanting to put his kids into a christian school, and I think that being able to read about it would be good. I’m glad you talked about being able to form favorable friendships in a christian school, and I think that would be a big benefit for anyone. I’m going to have to look for a good preparatory school, and see what we can find! Thanks!